Our world is an interesting place and the implementation of infrastructure makes it even more so. You don’t need us to tell you that though; all you need to do is look around and take in the sights. You see skyscrapers, bridges, restaurants, freeways, residential homes, and much more. None of this would have been possible if not for a school of drafting and design and if you’re planning on attending one then congratulations on making the best possible choice for your future. You know that computer aided drafting and drafting school programs can change your life significantly but you probably want to know what it’s all about before you really get involved. The first thing you need to know about is the pay. According to the BLS.gov, computer aided drafting, and drafting, in general, is becoming more popular and is only going to increase in popularity as it increases by 7% up to the year 2026. This is not extraordinary growth as there are some occupations growing by 12% or even 14% but this level of growth does indicate that it is a steady profession and one that is going to give you a solid career for many years to come. As far as the pay is concerned, right now, median pay for drafters is $25.71 per hour. This comes out to $53,480 per year which is far above minimum wage. Ultimately, it’s a great career to get into if you’re looking for something exciting that allows you to make a significant difference in the world. So here’s the big question: What can you expect to do as a drafter? Admittedly the field has changed over the years but it sticks to the same basic principle: You’ll use software to convert engineer’s designs into technical drawings. While this was once a less technological process, the computer has changed the way we do nearly everything! As a drafter, you may help to design anything from massive skyscrapers to tiny microchips. As a drafter, you’ll be working in many different environments. A typical drafter will spend most of their time in an office working on a computer, but there are those that visit job sites and collaborate with other professionals. 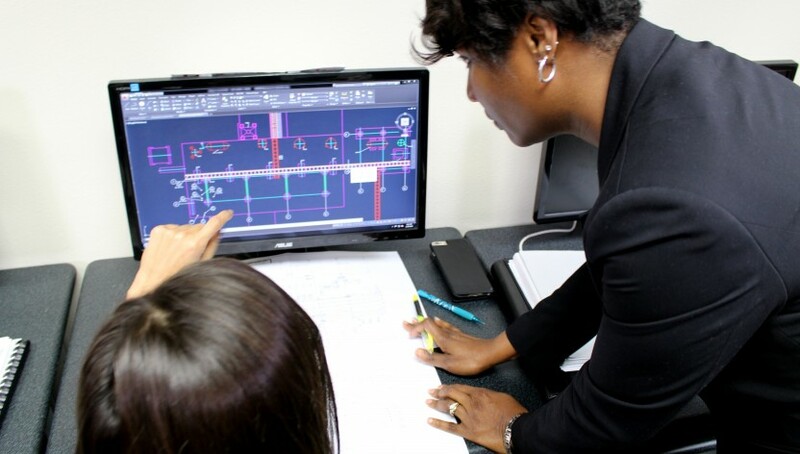 These include both architects and engineers, so be ready to take advice. If you’re interested in becoming a drafter then you have quite the journey ahead of you but it’s not going to be nearly as difficult as many people make it out to be. You will need specialized training, which our school can provide, and this leads to a certificate which you can use to start building your career. 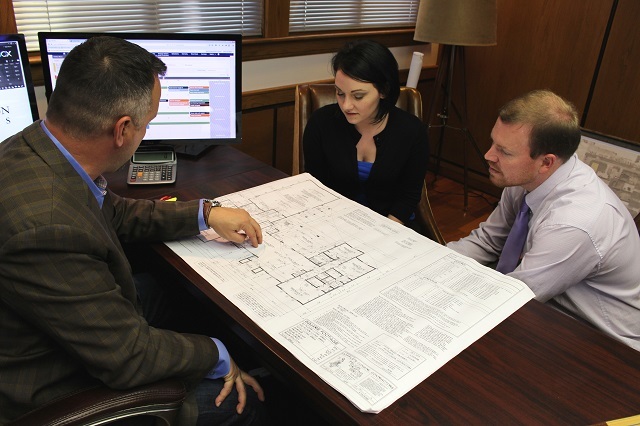 The drafting field has plenty of room for advancement and your drafting education can get you started. Finding a school is easy – you’re already here! You do however need to make sure you have the necessary pre-requisite skills before you pursue your career. For example, you should possess ample math skills so that you can interpret the engineering specifications, among other things. In addition to that, it would help to have good English skills so that you can easily read and write materials related to your profession. This is a great field and one that you are going to enjoy. Just make sure that you know what is expected of you and get started. Call us today for more information! In today’s world, there are certain skills you are going to need if you’re planning to move forward with your life. The skills that you choose will influence your direction in life but today we are talking about a school of drafting and design. Today drafting and design are going to involve CAD courses, otherwise known as Computer Aided Drafting, and they are perhaps some of the most important education that you can have. 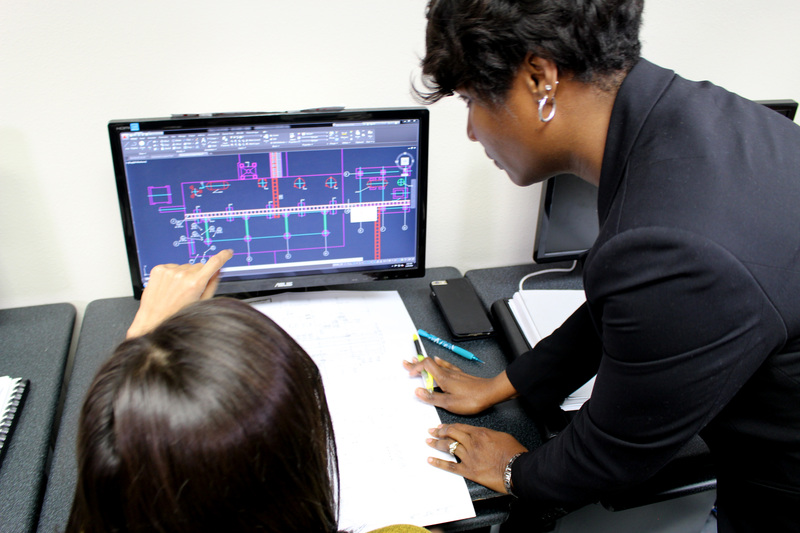 Even if you work in the construction industry right now, learning CAD is a critical part of your potential growth and we’re going to go over four reasons that you should be gaining your certification from drafting school programs right now. In the construction industry, there is always going to be a need for a need to outsource unless you manage to have all of your services in-house. There are some construction companies that manage to do exactly that, for example, some might have an in-house electrician or a drywaller. Imagine how much money you could save if you had an in-house drafter to draw up blueprints using Computer Aided Drafting software. Taking the course can be costly, but the payoff can be extremely helpful to you. You’ll save money by taking care of the drafting on your own and you’ll even gain more customers as you can streamline the entire service. 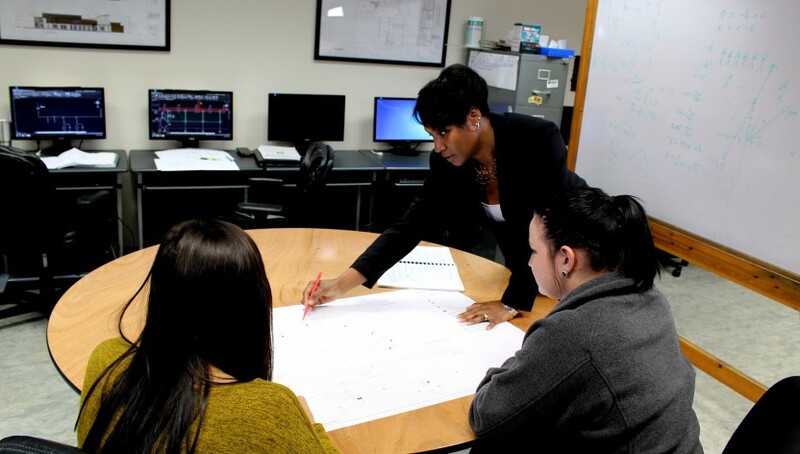 By attending drafting school programs you will increase your company efficiency considerably by having a skill that you can pass on to co-workers or employees. If you are currently running a business then this will be invaluable to you. You will be more productive and you will cut down on costs. 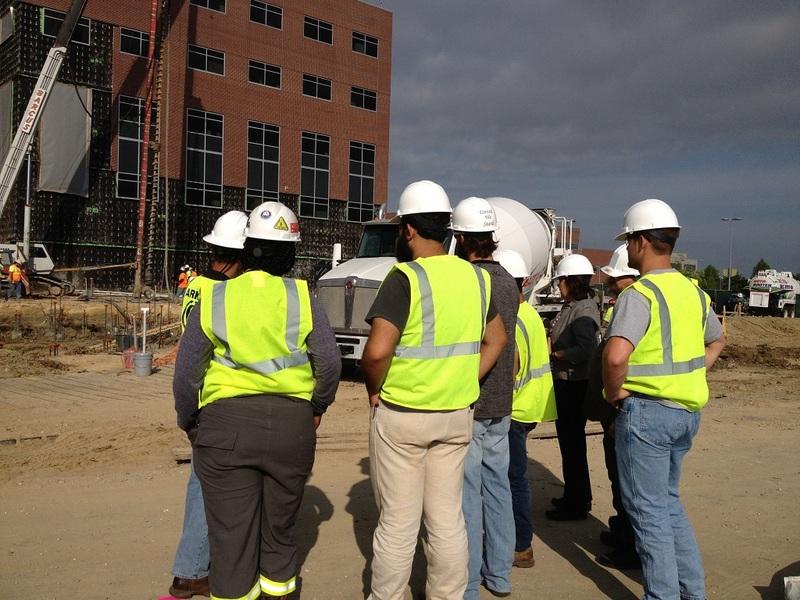 The construction world is extremely competitive and you need to make sure that you’re really able to get your foot in the door of this industry. The best way to really draw in the new business is to show that you and your employees are at the top of their game. If you really want to take it to the next level, you should look into earning your Autodesk Professional Certificate, showing that you have the skills needed to really help your clients. You can provide them an incredible service and build your reputation. The industry is constantly changing and you’re going to need to keep up with the changes. The latest CAD software, the latest trends, industry standards, they’re all going to be important for you and having the right set of knowledge can help you grow your business. You not only need to have the knowledge, you need to be ready and willing to expand that knowledge. It’s not as easy as it sounds but with the right skills you can take your business farther than you ever imagined. 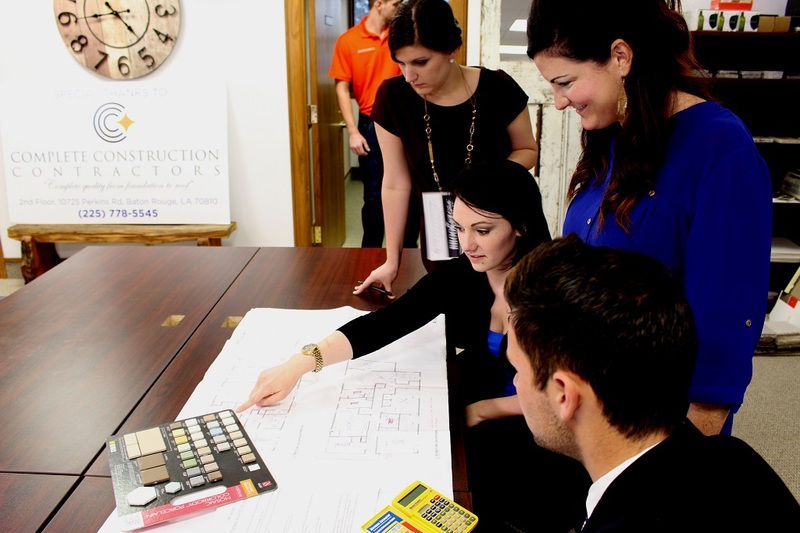 These are four reasons to consider looking into a CAD & Architectural Drafting Degree, and all you need to do is contact us for more information on your future. We have some great programs that will get you off the ground and ready to take your career to new heights. Not only do we offer programs, we offer financial aid for those that qualify in order to assist you in achieving your dream regardless of your current financial situation. The future is here for you – all you need to do is take the first step. Here’s a question: what kind of jobs can you expect to do after drafting college? Quite a few actually, and today, we’re going to talk a bit about the different industrial design jobs and techniques out there. Keep reading to find out more! When it comes to the design industry, you’re going to find that responsible design is one of the most basic concepts. This is also regarded as socially responsible design, and it’s more a notion of service than anything else. In this field, a designer will work to provide useful products that are almost always ignored by the market as a whole. Often, the creation of these designs is not intended to maximize profit, but to bring necessary products to the underserved. The ultimate goal is to help those in need, and a great example from a drafting education perspective would be housed for charitable organizations, like Habitat for Humanity. Experimental design isn’t always determined by the outcome, often times, the real progress is made in the process by which the product is created. Ultimately, it means that a new product could be made, but ultimately, the way in which the conclusions were reached will be more useful in the future. This is how innovation works, and while it is a pretty narrow field, to say the least, it can be extremely rewarding for those who choose to jump into it. While discursive design techniques are not nearly as visible in the marketplace, they exist to push the limits of our society by hinting at the psychological, ideological, and sociological consequence. This type of design is seen often in print, and they carry ideas that others do not dare to express. This makes them absolutely essential in today’s world and something that you might want to look into. As you can see, there are several different fields to look into, but at the core of drafting and design, is the creation of the blueprints that could very well change the world. Maybe you’ll simply be designing a house, or maybe you’re going to design a specific building to fill in space in a city block. The possibilities are endless, quite frankly, and at the end of the day, it may very well be up to you to help design a brand new world. It all starts, however, with getting the right education. If you want to get started in this field, then it all begins with seeking the right education. Fortunately, we offer an extensive program that will help you to gain the skills you need to become a force in the industry no matter which path you choose. So, with that said, what are you waiting for? Don’t hesitate to give us a call, and don’t put your career on hold any longer. With experienced instructors and accreditation, we’re a great choice and one that you are not going to regret any time soon. Shape the future through one of the design paths mentioned above, or forge your own path.